This spectacular location is unlike any other in the world, it's the famous Tiger Beach! It's located off the West End of Grand Bahama Island and is home to many creatures – both large (sharks and dolphins) and small (grouper, snapper, assorted other reef fish). It's the worldwide famous location for tiger shark and lemon shark encounters at a shallow (6-7m/19-23ft) white sand bottom, organisers will try to attract sharks using a "scent triangle" filled with bait. A perfect scuba diving region with ultimate sites for photographers and videographers. This area offer great chance of spotting great hammerheads, nurse sharks, and bull sharks occasionally. Liveaboard operators prefer that all dive equipment be dark in color. Please do not bring any white or yellow dive gear, especially fins, mask, gloves, or wetsuits with a large amount of white or yellow. Please wear booties/dive socks, as all shark diving requires divers' ankles must be covered. All liveaboards runs to Tiger Beach area embarks and disembarks from Freeport, on Grand Bahama. Guests are recommended to book international flights to and from Freeport/Grand Bahama International Airport (airport code : FPO), which is served by several airlines, such as American Airlines via Miami, Delta Airlines via Atlanta and Bahamasair via Fort Lauderdale. Tiger Beach : A beautiful beach area with white sandy bottom that seems to always have Sharks. Most of the Sharks seen are Lemon Sharks ranging from 1.2m - 2.1m in length. Also seen are Caribbean Reef Sharks, Nurse Sharks and of course Tiger Sharks. Hog Fish : A shallow dive ranging from 10 - 15 meters. As you swim along Hogfish Reef you will notice lots of crevices and ledges to look under for small creatures. A garden of soft corals with hard corals covers the top and schools of Grunts, Snappers, Chromis and Angelfish cover the reef. Swimming in the sandy areas just off the reef are large and small Hogfish. Mini Wall : This dive site has two mounds running side by side with a small patch of white sand between these mounds covered with marine life. The first of the coral mounds starts around 10m and slopes down to around 20m. The second mound starts around 12m and slopes to about 25m. Both mounds as they slope give the look of a small wall. Mount Olympus : The top of the reef is 13-15m, down one side you reach the sand around 29m, down the other side it just keep going creating a wonderful wall. Guests could spend all day diving this area and never cover all of Mount Olympus. Shark Paradise : his beautiful reef received its name from the different types of sharks you can find here at any given time. Such as Nurse, Caribbean and Lemon Sharks. Once in a while we even get a beautiful Tiger Shark in the area. 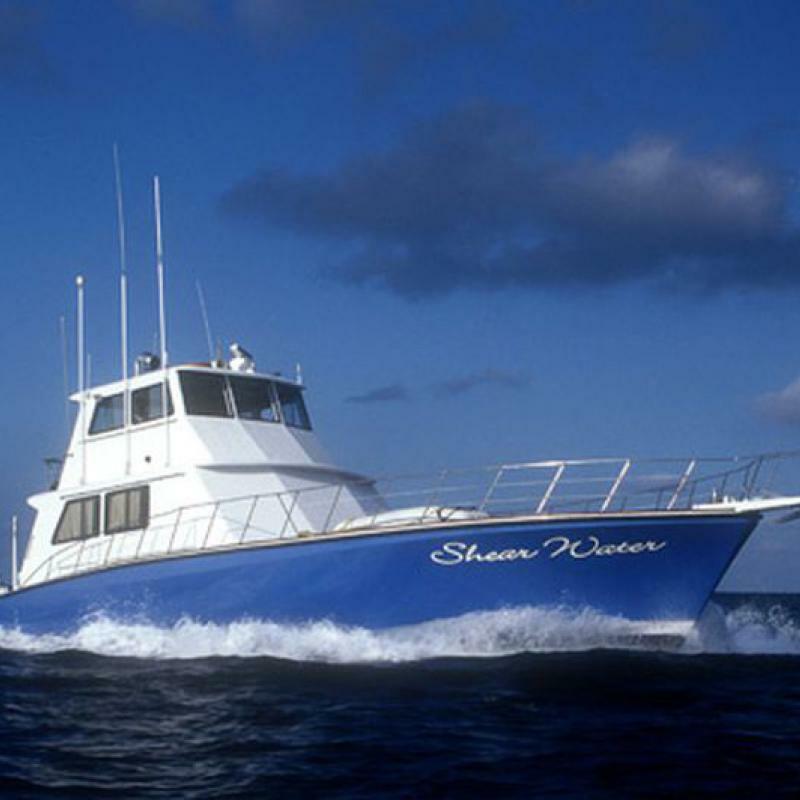 Fish Tales : Is located just to the south of Shark Paradise. Another great location for shark spotting: lemon, Caribbean reef, nurse and tiger sharks. Very close to Tiger Beach but a little deeper with the same shark action. Lighthouse : Just off of West End, Grand Bahama Island, this is a great shark spotting point. You may find great hammerheads, tiger, nurse and lemon sharks, even bull sharks have been reported to pass by sometimes. Sugar Wreck : This shipwreck is a 110 metres steel vessel that sunk about 100 years ago, carrying molasses. It features the resident green moray eel, enormous schools of snappers, loggerhead turtles, octopus, and nurse sharks. As it sunk in shallow water of 7 metres, you will have plenty of time and opportunity to fully explore it. 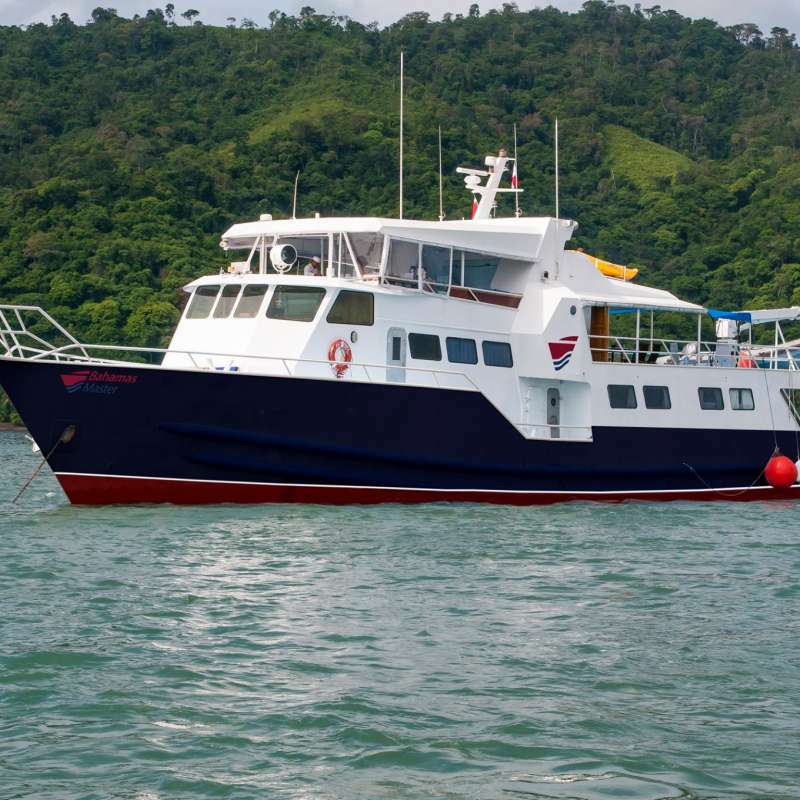 El Dorado : Divers will enjoy seeing Lobsters, huge Channel Clinging Crabs, Banded Coral Shrimp and schools of fish. At night dive for Octopus, Squid, Turtles resting, Eels swimming out in the open and an array of hard and soft Corals are seen. El Captainan : A huge underwater mound that is covered with Gorgonians and hard corals. Just off to the side are two large pinnacles. You can easily follow schools of fish or stay in one small area and look for lots of marcro and small animal life. Dolphin Dream e' una barca da crociera lunga 26 metri ed offre viaggi alla famosa spiaggia di Tiger Beach nelle Bahamas, i clienti opsitati sono solo 12.